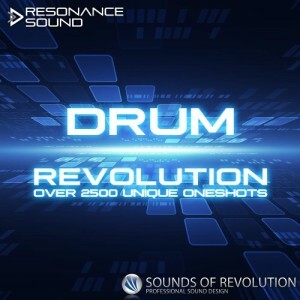 Oliver Schmitt aka SOUNDS OF REVOLUTION (SOR) continues his highly anticipated Sample Pack Series distributed by Resonance Sound. This masterpiece includes kicks (4 categories), unique claps and snares, loads of clicks & elements, effects that move your beats forward, fine hihats and cymbals, amazing SID sounds, percussion and more! Dive into this drum treasure chest from Sounds of Revolution containing the best oneshots from previous SOR releases and hundreds of totally new and unheard drums. We used the finest tools available when creating this gem. This pack also covers special organic sounds including live drums/hats/rides, vocals and field recordings as well as classic analog drums, SID samples (C64-style), exotic percussion or just some weird fx! Essential for Deep House, Techno, Minimal, EDM, DnB, Dubstep, Trap, Electronica and everything in-between! We are sure these drums will play a big role in your future productions. Please Note: All demo sounds (incl. FX) are included in the pack!